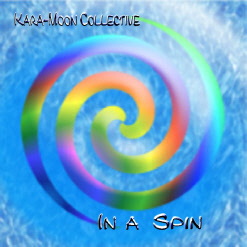 The Kara-Moon Collective consists of musicians from all around the world who put their music up for public scrutiny on the internet. They relish online collaborations in order to expand their own musical competence by joining forces with each other. 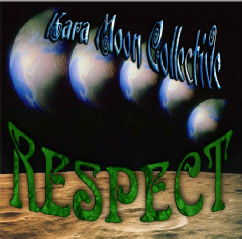 During 2008 an idea was put forward to make an album of collaborative songs under the theme of RESPECT. This Respect would be the respect of the world on which we live and it’s peoples. Our time here is very short and it is becoming more apparent that the fate of the world is entirely in our own hands. The need to find cures for the ills that mankind has inflicted on this planet is getting more and more urgent. We desperately need to look to the future, both environmentally and socially. Very often the solutions to safeguarding the future can be found by examining the past. The ideas and principles which have led to the development of our present lifestyles. A very ambitious project indeed. The goal of our 'In a spin' CD is to show the world what is possible with modern communication technologies like the Internet. We consider the Internet to be an incredible tool, which opens all frontiers. The criterion of our CD was the talent of the artist. Through a well moderated internet forum, any artist has the advantage of collaborating with the artist he or she chooses, wherever they are on our tiny planet. This has led to the realisation of a versatile but terrific CD! We hope the songs on this CD will bring you much joy. When the kara-moon forum really kicked off it was decided that the active members would contribute songs to a CD project. Partly as a promotion, partly as a fund raiser but mainly as a showcase for the diverse range of talents who were around at that time. As this was a ‘hard copy’ CD it was only available from the K-M shop as a CD or a download, but at an extremely reasonable price! Following on from the success of the ‘In A Spin’ project, the K-M team decided to make a follow-up album. This time there was a distinct theme. Respect ... for the world as we know it. So many of the active members responded to this idea. It turned out to be a truly spectacular and eclectic mix of music. The decision was taken to make this a free download.